Promotional Products & Advertising Specialties help market you and your business. Getting your name out in front of current or new prospective clients is so crucial for business growth! The Gift Planner wants to be your personal gift planner helping you with all of your promotional products, gifts and giveaway needs. Branded Promotional Products, Promotional Giveaways And Other Corporate Branded Items For Tradeshows, Conventions Corporate Events, Tournaments, and Giveaways. Let The Gift Planner Personalize All Of Your Branded Products And Keep Your Name In Front Of Current Clients & Prospective Clients! 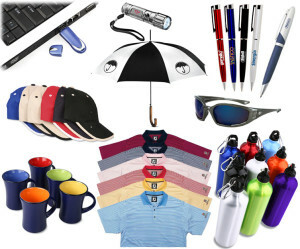 Branded Business & Corporate Gifts, Promotional Products & Giveaways! Shop Delicious Chocolates, Gourmet Baskets, and Cookies. Trade Show Promotional Products, Giveaways, Displays, and Banners. Corporate & Client Gifts & Giveaways. Unique themed business gifts for trade shows, corporate events, conventions, client gifts, giveaways, thank you gifts, holiday gifts and any other corporate gift need you may have. The Gift Planner provides unique and customizable promotional products or gifts with your company logo and/or message. We have worked with builders, architects, engineers, realtors, property management companies, hospitals, law firms, schools, medical supply companies, doctors and nurses, financial planners, and many more. The Gift Planner will find you the perfect gift (s) for any corporate need you may have.